Get more enjoyment from your TV & Home Theatre! 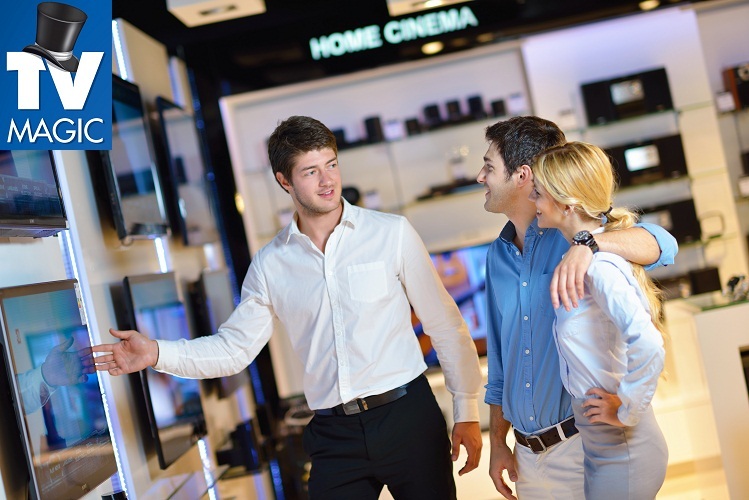 16 ways to get more enjoyment from your TV & Home Theatre! TV Reception is only as good as the weakest part in your antenna system. Having every bit of cable, splitter, join, connection etc replaced; will result in less pixelation/squares on the screen. 2. 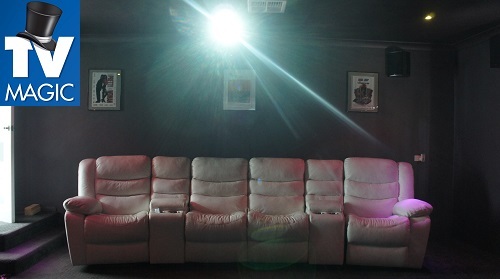 Put your TV on the wall! 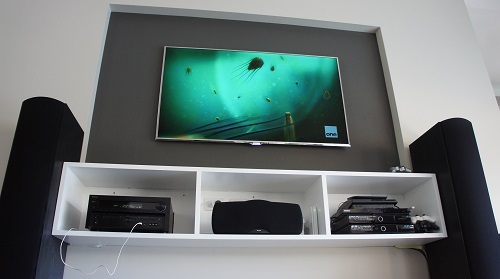 Wall mounted TV's are safer for kid's/pets and they also look amazing! When the cables are concealed and it looks like it's floating on the wall you can be a proud home owner. Nowadays it's quite common to have wall mounted TV's even in the kid's rooms, bedrooms, garages and anywhere else you watch TV. Did you just do an AUTO TUNE? Professional manual tuning and calibrations can make a big difference. It's all the small touches that can make a big difference to your picture and sound quality. Everyone thinks it's all about HDMI. Well did you know that for instance FOXTEL IQ delivers a better picture with a component cable!? And if you don't know what HDMI is than basically the quality of your TV picture and sound are only as good as the cables being used. There is a myth that a $100 cable gives you a better picture than a cheap one but using correct cables for your particular equipment is still vital and depending on the combination of equipment it can change from system to system. 5. Get a universal remote. Okay so the cheap ones give universal remotes a bad name. They leave people just as frustrated as having 5 remotes with only some functions working and poor programming that doesn't make sense. A good universal remote that is well programmed will 'automate' your operations and give you complete control. A good uni remote will do 7 functions with the touch of one button and will fool proof your system to the point where you; 'can't stuff it up' no matter what button you press. Now isn't that a dream come true? 6. Sick of the same old boring TV channels? There are several ways to spruce up your TV and give you more variety of TV channels. One is Pay TV. Another is satellite TV. 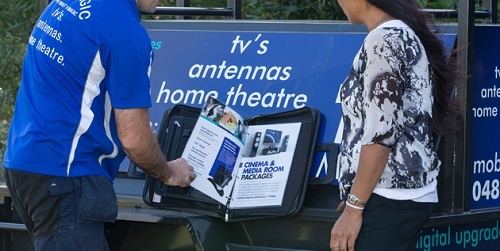 With a satellite dish and decoder box you can receive hundreds of free TV channels from all over the world. 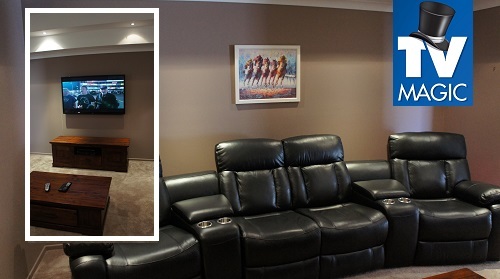 The initial installation may be costly but the results can be well worth the results if you are a big TV watcher. 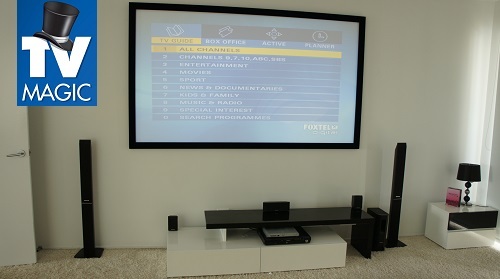 If you already have Foxtel or Austar than you can take advantage of AV distribution. Cabling can be installed so that you can watch that Pay TV in other rooms on other televisions in your home or office for free. Completely legal, this is a great way to take advantage of all those TV shows that are on late at night and you would like to watch from bed. Do you have to share the TV with your kids or wife/husband? 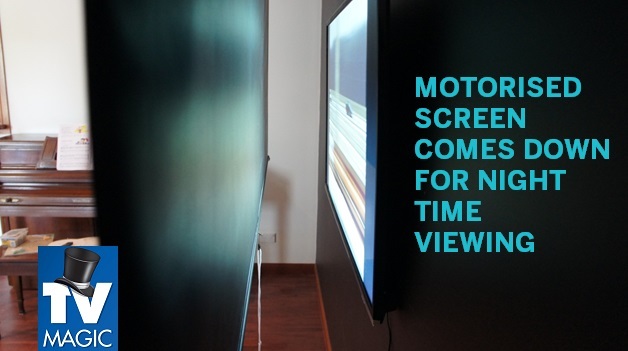 Imagine if you could watch your favourtie shows in the garage or kitchen? 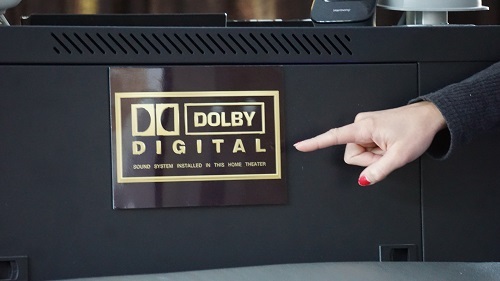 Your surround sound SHOULD sound like you are at your favourite cinemas watching a block buster, no matter what you're watching. 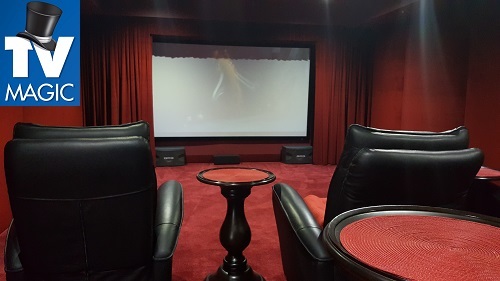 We make professional adjustments and/or speaker positioning corrections to a D.I.Y surround sound systems all the time that give better perormance and have customers saying "WOW! that sounds way better!" It's all the small touches that make a huge difference. Forget the auto calibration mic:- alot of the time this is the culprit! 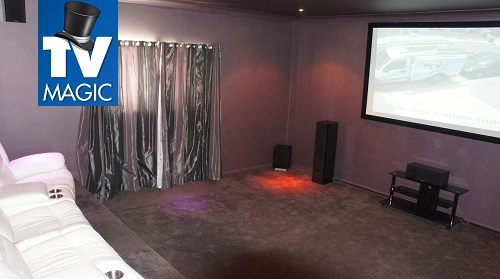 Surround Sound calibrations is best done by experienced professionals. 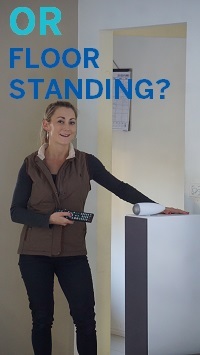 Is your TV system easy to use? Can other people use it without needing a degree in rocket science? The user friendliness of your equipment comes done to the combination of your equipment and the way it is setup. Some systems have over a dozen ways for the hook up to be made. Having your system setup so it is easy to use is one of our specialties. TV is just for watching right? What about the next time someone gets in and cleans behind the TV cabinet and disturbs all the cables. 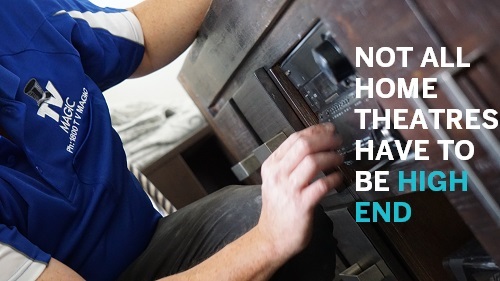 Having no wires seen and all cables concealed is a possibility no matter what your situation. Removing all the cables all together is not possible but they can be hidden and out of sight. Tidyness in the home helps you have a quiet and peaceful mind and lifestyle. Is your gear as old as the hills? Do you still use a VCR? Do you still use a DVD recorder? There are better and simpler ways to record than on blank DVD disks. There are better and simpler ways than having walls full of DVD and VHS tape collections. Movies can be stored on portable hard drives and having the latest and greatest gear will give you higher resolutions, more amazing sound and eye-capturing visuals. Consult us for package deals with equipment that is easy to use, compatible and will give you performance, elegance and simplicity. TV Magic supply and deliver packages and systems for all budgets. Do you use the internet on your TV? Don't know how? Watching your favourite YOUTUBE clips, internet movies, TV series or online activities can be experienced on the latest SMART TV's. 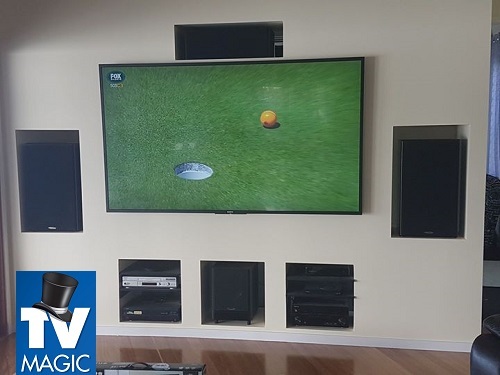 If all you need is some professional installation or an internet connection near the TV his is one little way to use your TV to it's full potential and improve your lifestyle and comfort by watching everything on the BIG screen. Do you have an iPad? Laptop or Desk P.C? 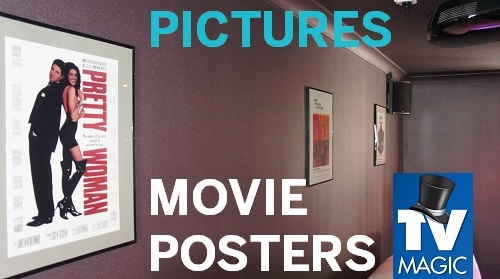 Do you know how to view your photos, movies, peruse the internet on the big screen? 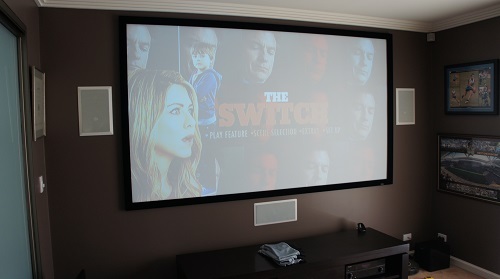 One of the easiest and most popular ways of utilizing new TV's to their full potential is to connect your p.c, iPad or laptop. These days it's a whole lot easier and some systems do it automatically as soon as you're connected to the network. Using Apple TV you can stream music, movies and files from your iPhone, Mac or iPad to your TV wirelessly. 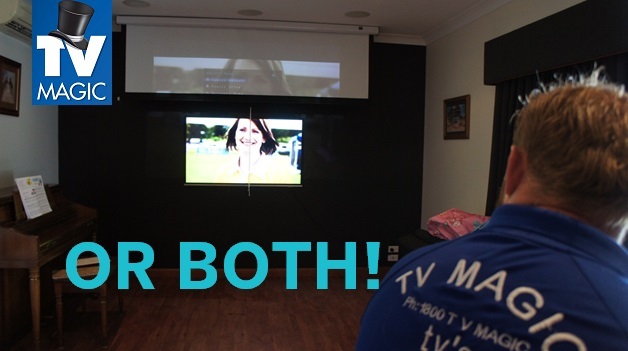 Consult with us to learn what options are available to you and how it can enhance your TV viewing experience. Did you know that it's not necessarily best to get equipment all of the same brand? Same brands can cause what's known as IR clashing and make your system incompatible with one another. Also what do you expect and intend to use your equipment for? 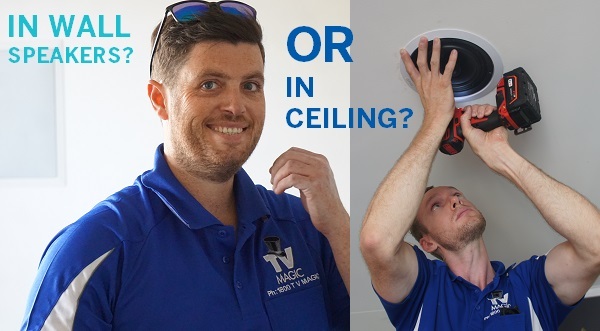 Your enjoyment couldn't be any higher than if you consult with professional installation technicians who show and coach people on using their systems. 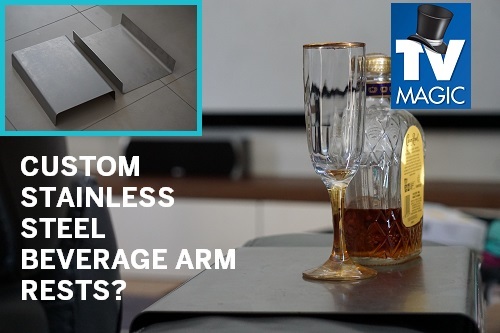 Allowing them to put a package together specfically for your everyday needs and technical know how can make a system more enjoyable and user friendly. Contrary to popular belief:- it is better to turn your equipment off with the remote than at the wall. Everyone knows that if you flick a light switch on and off repeatedly over and over that you will eventually blow the light bulb. The same goes with TV's. So you're not likely to do this with your TV but every time you do turn off your equipment at the wall a power surge of electricity is going through your TV capacitors and eventually they will blow. Televisions do last longer if they are just put into standby mode. That's why the stand by mode feature is there. 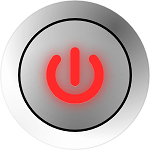 Newer TV's use less electricity in stand by mode. Yes, there is a lot of hype about the wastage of that red light always on. 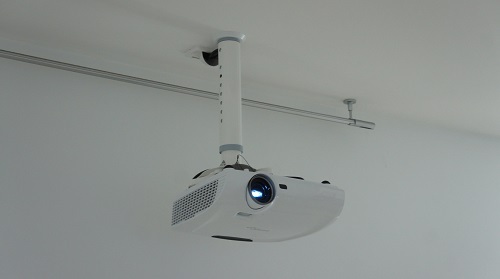 If you have a newer TV that led light will cost you about $25 a year. 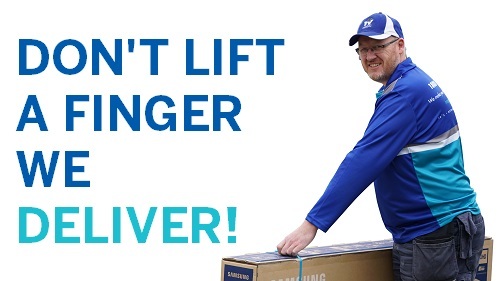 However your TV will last 5 years longer. 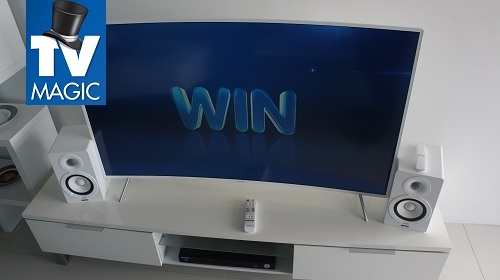 So would you rather save the money or spend another $1000 ish on a new TV 5 years sooner. These are the averages as per TV repair businesses. Either way you there is no perfect win/win. If you do want to make a decision though, TV magic recommend putting your TV into stand by mode. We have seen televisions regularly die (prematurely) from turning on and off @ the power point repeatedly (even within 12 months). 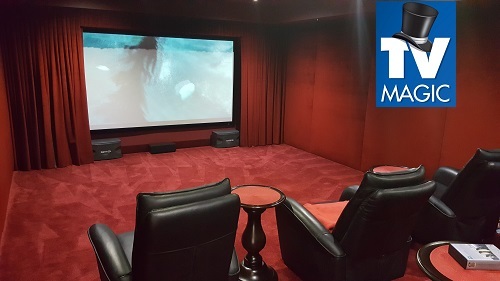 Getting the optimal performance from your Home Theatre and TV system requires all of the above! A lot of these steps require a professional. 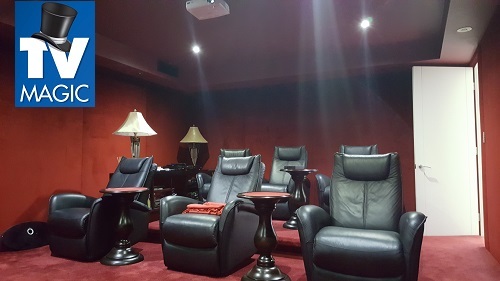 If you want your sytem to be better, easier to use, give you bang for buck, impress your friends, give you back your life, give you more control, bring the cinemas into your home, give you picture clarity and gob-smacking sound then TV Magic home theatre installation technicians are skilled and competent into evolving your previous problems into a proud, entertaining and high performing Hi Fi entertainment system that your friends and family will envy. 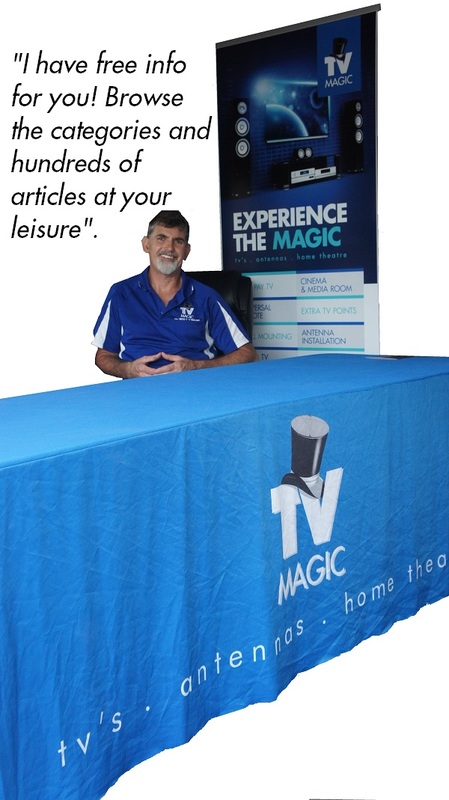 Call 1800 TV Magic today!